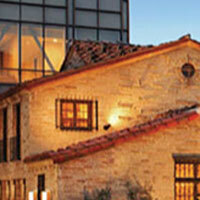 The Geffen Playhouse is newly renovated, closing for over a year, and re-opening in November of 2005. The renovations are stunning, and provide for improved acoustics and sight lines. In addition to the Main Stage there is now the more intimate Audrey Skirball-Kenis Theater, which will focus on newer works for the Los Angeles community.